The good news is that I’m getting rather settled in these days. From time to time I come across groups that help foster a sense of community for expats like myself and I enjoy looking at what they have to offer. 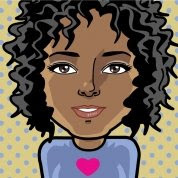 I’m always interested in ways to more thoroughly enjoy my experiences here :-) So when I was invited to join the InterNations community, I was really intrigued. 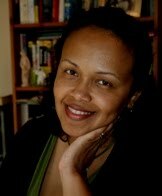 Here’s a bit of information about InterNations for my fellow expats out there or anyone who is interested in learning more about this community. 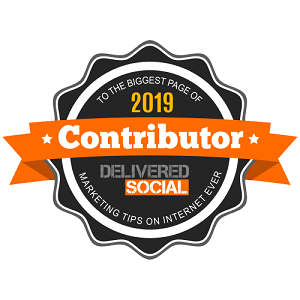 InterNations is a social network, started in September 2007, for expatriates and has a varied membership of over 140,000 in over 230 cities worldwide. The membership includes people from many walks of life. The site is a German startup and was awarded the Land der Ideen award, which means "land of ideas", by the German government and the Federation of German Industries for their business concept in creating a web-based solution to the challenges of the expat life. What I really love about InterNations is the opportunity for members to meet in real life at monthly events. This is so crucial I think, because as I said before, even though it’s really wonderful to have this experience, it can be lonely at times. So having a chance to meet with others who are in the similar situation would be ideal. Expatriates and their families can connect with others and receive advice on the expat life in various countries. Also there’s additional information and resources in the InterNations city guides. Yesterday, Brit Boy and I were out and about around the Wiltshire countryside and dipped over into Somerset, which is a neighboring county. 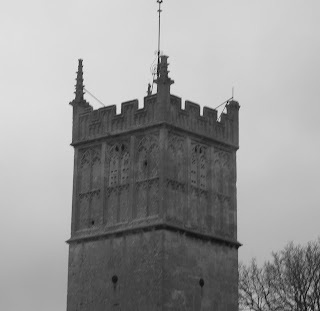 On our way out of Somerset and back into Wiltshire, we passed through this village called Rode. 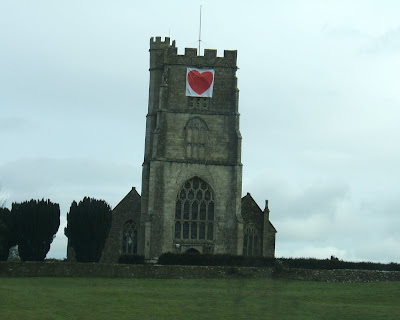 As we drove along through the village, I noticed this lovely church, the Church of St. Lawrence, with a heart on it. I figure that whenever love is around, we're all gonna be alright. As the Beatles said, "All You Need Is Love". This photo above is really blurry, but I thought it was interesting that the raindrops stood out. Hello all :-) Brit Boy and I had a good weekend. No trips to London this weekend but we went into town and it was fun since we hadn't been there in a while. It was fun to have a quiet weekend. I wanted to post some awards today. I received three over the past several days. I'm still amazed when I get these :-) I'm honored as always to receive them. 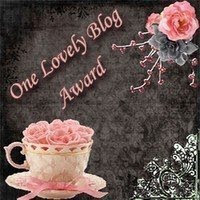 The first award is the One Lovely Blog Award from Confessions of a Bookworm. Thank you so much Lindsay. 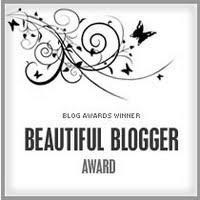 The next one is the Beautiful Blogger Award that I received from Judy at Sixty Is Just The Beginning. 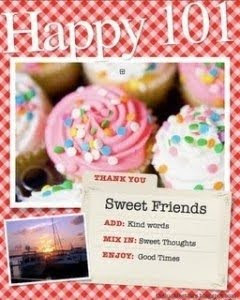 Thank you Judy :-) This one asks that you list seven things about yourself. 1) I like collecting things. 2) I love old movies. 4) My favorite color is blue. 5) Well this isn't particularly about me, but it snowed a bit here today, but it didn't stick. 6) I love green tea. And thirdly, I received the Happy Award from Mike at Rambling Stuff. Thanks so much Mike. This one asks you to list ten things that make you happy, so here I go again. 2) Watching the moon and the stars on a warm night makes me happy. Just checking in to say hello….”Hello” :-) In my previous post, I mentioned a tube stop that Brit Boy and I traveled through called Elephant and Castle, and I wondered how it got its name. Well, Elephant and Castle is a major road intersection in south London. From what I can gather from my bit of research, it seems that there used to be a pub there that was called by that name, so this may be where the name derives from. The earliest record of the pub’s name is in the Court Leet Book of the Manor of Walmorth. The book mentions that the royal court met at the Elephant and Castle on the 21st of March 1765. And the book says this took place in Newington, which is the original name for the area. Previously the site was occupied by a blacksmith and cutler and the coat of arms of the Worshipful Company of Cutlers, features an image of an elephant with a castle on its back. The image was used because of elephant ivory in handles. So this seems to be where the name originated. The original name for the area, Newington, is a common place name in England, so the informal name of Elephant and Castle became a more used name for the area. The site of the pub was rebuilt in 1816 and 1898. So that’s what I found out :-) I’m always interested in how names come to be. From time to time if I come across any other things like this, I’ll share them here. Have a great weekend! Brit Boy and I had a great weekend. On Saturday, we relaxed around home and watched movies that evening. Earlier in the afternoon, going into evening, we watched a Dolly Parton special of her performing and telling about her rise to fame. It was very interesting. I love biographies and things like that. It’s so intriguing to learn about peoples’ paths in life. I really enjoyed watching the special. We rested up a bit and relaxed on Saturday in preparation for our outing on Sunday. We went into London to go to see the Michael Jackson Memorabilia exhibit at the O2, where we would’ve seen him perform back in July. We were quite disappointed like many others that we didn’t get to see him perform, so this was a way to still be a part of things. At the beginning of January, I was sitting around watching videos on Youtube, and there was an ad that popped up advertising the exhibition and I said to myself, “Oh yeah.” I knew in the back of my mind that the exhibit was going on, but I hadn’t really brought it to the front of my mind and thought about going until then. Anyway, we decided on taking another route and it was a great adventure. We took the train into Paddington as usual and then we hopped onto the tube and took it to the Elephant and Castle stop (I’ve got to research why it’s called that) :-) And then we took the tube to the London Bridge stop. At this point we walked over to the River Thames to catch a catamaran to the O2 Arena. This was a cool way to travel! We loved it! Here are a couple of short videos of us floating along down the river to our destination. The first one is when we went under Tower Bridge. You can see my camera and I do one of my things, which is twist the camera to get the action. LOL. So I hope you all don’t get dizzy. The second video was taken when we were at a stop. I thought that the sun shining on the water was just so beautiful. I hope you enjoy them! We really enjoyed traveling this way and we’ll have to do this again :-) The Michael Jackson exhibit at the O2 was great. We weren’t allowed to take photos, but it was very nice. They charted his early career with his brothers in the Jackson 5 all the way up to him preparing for the concerts in London. They had: several of his outfits, past and present; an early contract from when he was a boy; several awards; plaster replicas of his hands and face that were used for his Ghost mini movie; and various other personal items. The "Ghost" mini movie was quite long, but here's a link to a portion of the film. If you don't have time to watch it all, I totally understand, but if you get a minute please check this out from about 1:25 to 5:00 in this video to see some of his best choreography in my humble opinion. We also saw this white shirt he wears in this piece at the exhibit. My favorite bits of the exhibit were the handwritten lyrics to one of his greatest hits, “Beat It” and a video that they showed of his influences and how he incorporated them into the style that was all his own. I got the sense even more that his musical genius came from an acute understanding and appreciation of performance history. It is clear to see his homage to James Brown and the Nicholas Brothers and Fred Astaire. He was a true student of performing and an innovator in his own right for sure. I also thoroughly enjoyed the various quotes from him that were scattered about the exhibit.